Well, the most awaited release this year was definitely going to be the iOS 8. Now, as always Apple always has marvelled in blending beauty with accessibility like no other brand has ever. So if you are wondering what took the iOS people to come up with the eighth genius and how its different from the predecessor , here is a gist of 27 cool new features that you would find awesome. 1. QuickType gets cooler: The default keyboard that comes with iPhone, called QuickType has been improved. It now gives you ‘smart’ predictive input options. Now you pay attention when I say ‘SMART’, because, not only it learns new words every day. It suggests you words on basis of previous chat with that person. It notices the language and tone you use with different people and modifies its suggestions accordingly. Not only this, its gives you suggestions on the basis of the chat you are having. For example if your friend asks you “what’s the plan? Dinner or movie?” you get suggestions- ‘dinner’, ‘movie’, ‘none’ or ‘both’! That’s cool, right? 2. Install third party keyboard: If you want to install another keyboard, you can do that now with iOS 8. Surprisingly keyboard apps have already been hot favourite in App store for both paid and free app category. 3. iMessage gets better: Now you can add title to a thread, share your location, mute or even leave a conversation. Messaging is the most widely used app in iPhone and so Apple has taken special care to make it better than ever. 4. Share audio or video messages: now you can send audio or video message to your buddies with just one gesture. This new feature is awesomely easy to use and will be one of the favourites. 5. Manage mailbox with ease: Now it’s even easier to manage mailbox. Just a few gestures can help you use your mailbox conveniently. Swipe right to mark read or unread, swipe left to flag or delete. 6. Composing e-mails become fun: Now you can straight away copy a part of the mail from inbox and paste it in a new mail you are typing without any hassle. Just pull the composing mail down and you can see your inbox right there. Copy and paste and edit on the go. 7. Search web from spotlight: You can now type in a few letters and find suggestions from all over the internet on spotlight. That makes things very easy. 8. Change the default search provider in Safari: Now you can choose between the search providers in safari browser. This feature has been introduced for the very first time. DuckDuckGo, Yahoo and Bing are the new options, which you can find in the Safari section of the Settings app. 9. Show the desktop site: In iOS 8, you can now request desktop site to view full desktop version in your browser by tapping on the address bar, then swiping down and tapping ‘Request Desktop Site’. 10. Shoot time-lapse video: iOS 8 has timelapse while iOS 7 had slow motion. You’ll find the new option in your Camera app and it captures one frame of video every second. Timelapse videos can be identified in your photo stream by the small timer icon in the lower left corner. 11. Set timer in camera: Now, just like many third party camera app, the default app of iPhone has now the timer in camera. Tap the timer icon that appears by the on-screen shutter button to choose between a three second and a ten second delay. 12. Photography and editing improved: As in iOS 7, you can tap on a part of the picture in the Camera app to change the focus point. In iOS 8, a sunlight icon appears next to the focus frame-slide this up or down with your finger to change the exposure level and the amount of light let into your shot. Now you can make a photograph even better with intelligent photo editor. 13. Upgrade to iCloud drive: iCloud 2.0 or iCloud drive is also a new feature that comes with iOS 8. All apple apps will eventually be upgraded to iCloude drive. For the time being only iOS8 and OS X Yosemite are having this upgrade. 14. 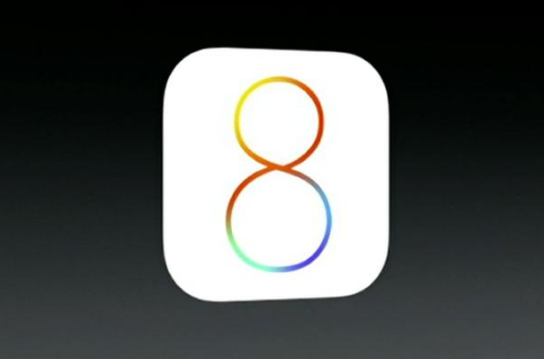 Customize sharing: With iOS 8, apple comes with better privacy features. And customized sharing is one of them. Apple devices now have a far more flexible sharing system for getting your content out into different apps. Just tap the’ More’ button next to the sharing options to change their order or to prevent some of them from appearing at all. 15. Check what consumes your battery: And now, just like android, you can see which app is actually consuming most of your battery. Go to settings app and in general category you will find battery usage under usage section. 16. Shades of gray: Tap Accessibility on the General page in Settings and there’s a new Grayscale option you can activate. It’s still unclear how much useful this feature is going to be. 17. A Shazam like Siri: Now, Siri can recognize a music being played somewhere near your phone just like Shazam and can give you info about the song. You can also buy the song from iTune then and there by telling Siri to do so. 18. Animate your Notes: Now you can attach animated GIFs into your notes and make them look lively like never before. Just import the GIFs from your gallery. 19. Hide photos: Now, if you want to keep a few clicks private in your gallery but not actually deleting them, you can do that by simply a long tap on the image. You now have an option to hide the picture. 20. Share with Family: this is a pretty cool feature that you get with advent of iOS 8. Now you can share your songs, eBooks, apps with as many as six family members. So now one song from iTune can be listened by six and paid by one. 21. Health app: now, apple will take care of health and track your progress on a daily basis. It will also stay in touch with your doctor and inform him about your health timely so that you never risk it. 22. 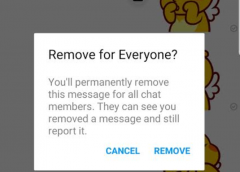 Notification becomes lively: You can now reply to messages, listen to audio recordings, accept or delete Facebook invitations from your notification bar and even lock screen. 23. Edit the Today page: Swipe down from the top of the screen and you’ll notice there’s a new Edit button on the Today page. Tap on this to control which ‘widgets’ are allowed to show up and in what order; there’s also the option to prevent specific apps from appearing on this page. 24. Apple Pay and scan credit card: Apple brings Apple Pay to ease your shopping experience and also now you can scan your credit card instead of entering all details and waste time in safari. 25. Hand-off feature: now, you can seamlessly work between all your apple devices without even thinking about it. You can receive calls on the iPad or Mac. Or you can also pick up writing a mail on your iPhone from the point you had left it in your Mac. That’s just so apple like. Simple but brilliant. 26. Recent call list on a tap: Now double tap the home button and you will be able to find the recent contacts on the screen and you can call or message or mail them straight away. Simple but handy. 27. Gaming and high definition videos now even better: The new technologies used in iOS 8 can now let you play the best in class games with high end graphics and 3-D rendering without any glitch what so ever. And Apple continues to make future proof devices at its best. Well, I’ve had this operating system for a while now but didn’t take full advantage of it. I actually took some notes from this article to try out some of the features. I am really hoping the new email feature will be a great benefit for efficiency when composing multiple but similar emails.